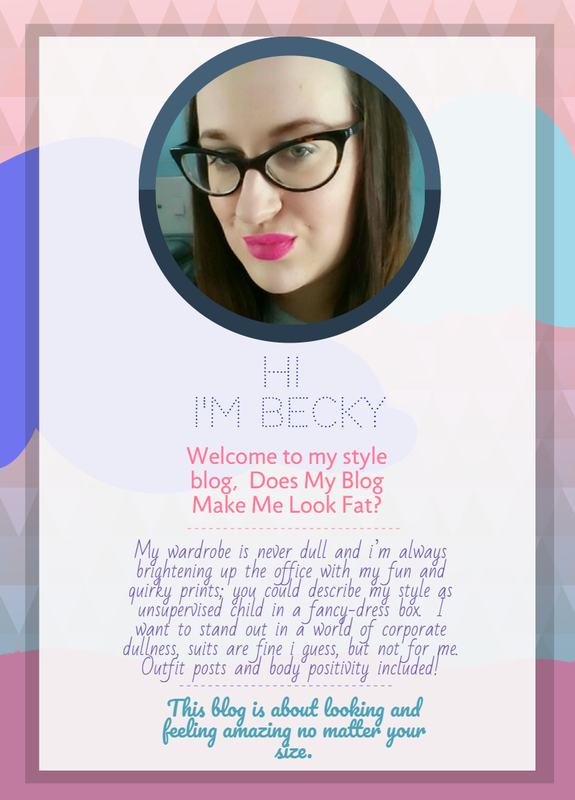 Fat Work Wear Style Round Up: March 2019 - Does My Blog Make Me Look Fat? 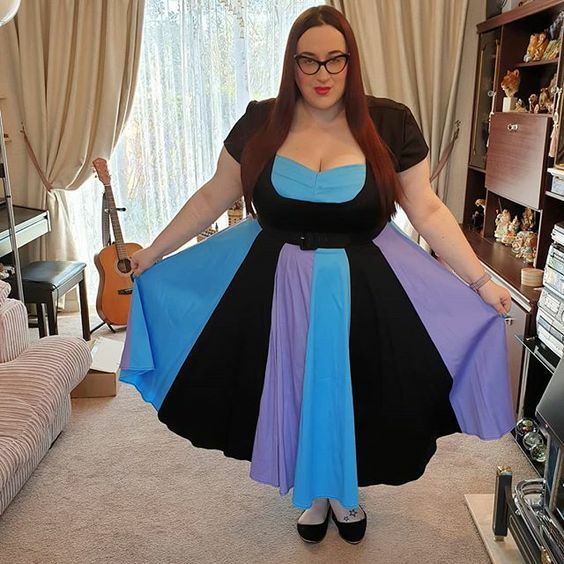 Dress is a 22/24. I've layered a t shirt underneath to add a bit of warmth so i don't need to add a cardigan. Skirt is a 4x and slightly less forgiving than some of their other skirts. 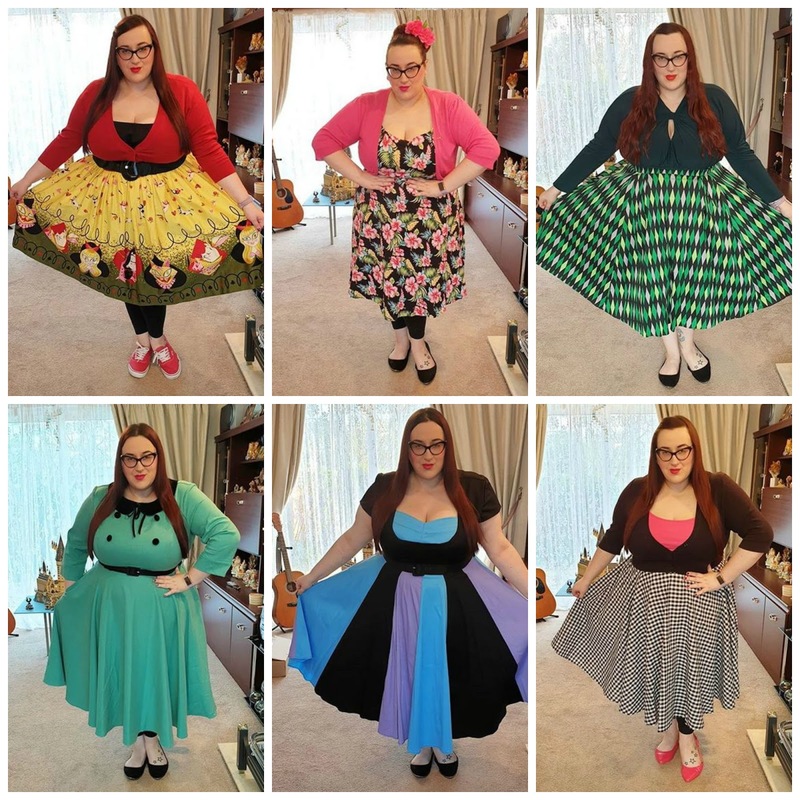 Cardigan is from Voodoo Vixen and is a xxl, vest top is from Primark and is a size XL. 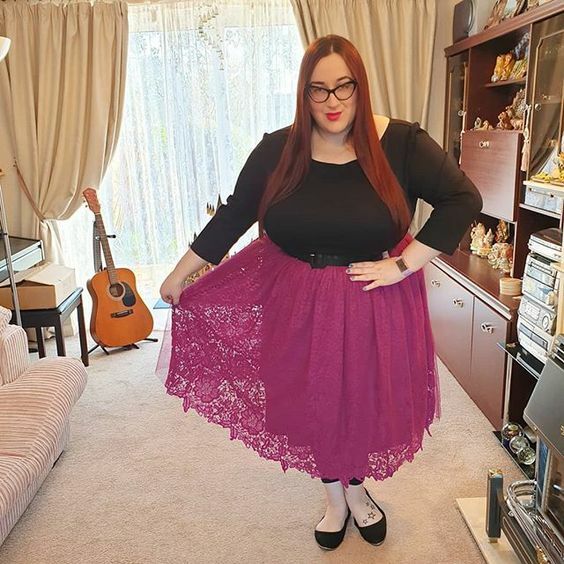 Skirt is a size 2xl from Voodoo Vixen, Top is a 4x from Vixen and i'm wearing my first ever pair of snag tights, i ordered size F which seem to be a great fit, maybe a little baggy in the ankles, but they stay up and don't roll down. 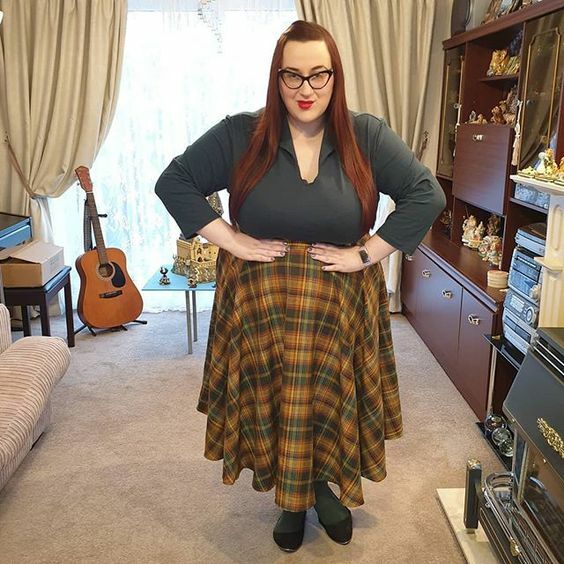 Skirt is a size 26 and is a little big on me, but as it is elasticated i don't think it matters to much and a belt helps. Top is from Pin up Couture and is a 3xl. 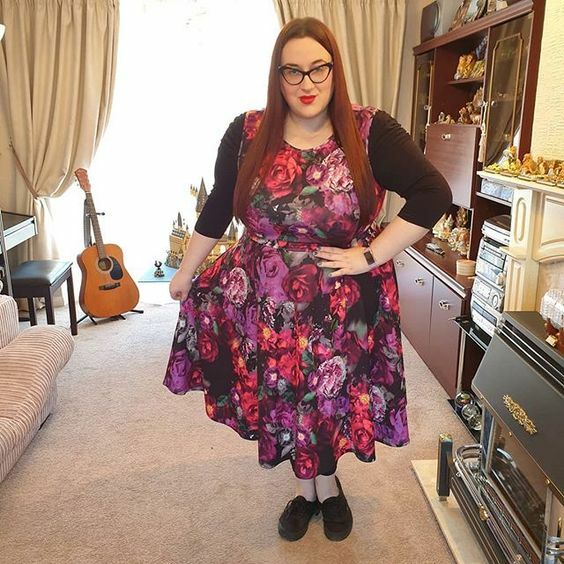 Dress is a size 22, slightly tight in the bust but not problematic and still comfy to wear. Happy International women's day. This t shirt felt appropriate for today. 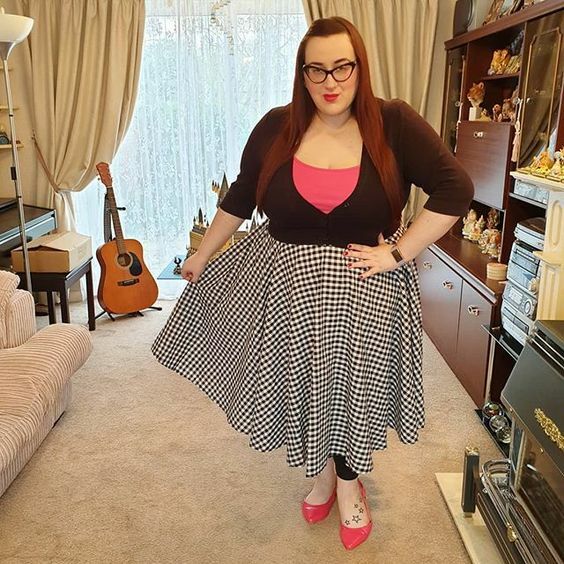 Skirt is from Lindy Bop, a size 26 but please note they have changed the sizing now and i could probably wear a 22 in the new sizing. 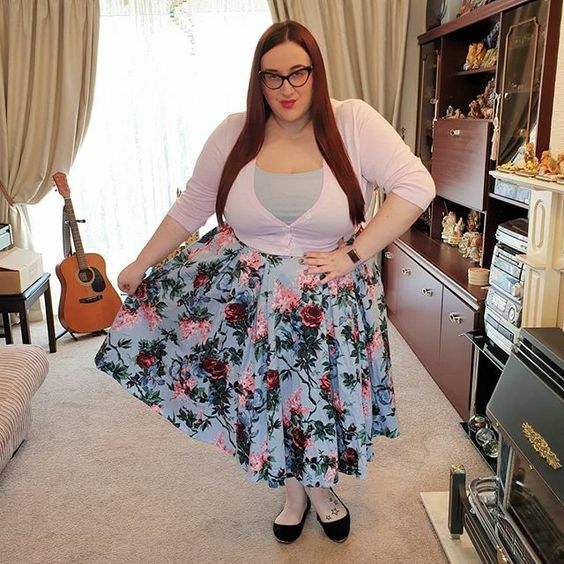 I got this skirt off a Facebook group, a great way to get some amazing pieces that aren't on websites anymore and at good prices, also makes me feel a bit better about my fashion footprint by buying second hand. 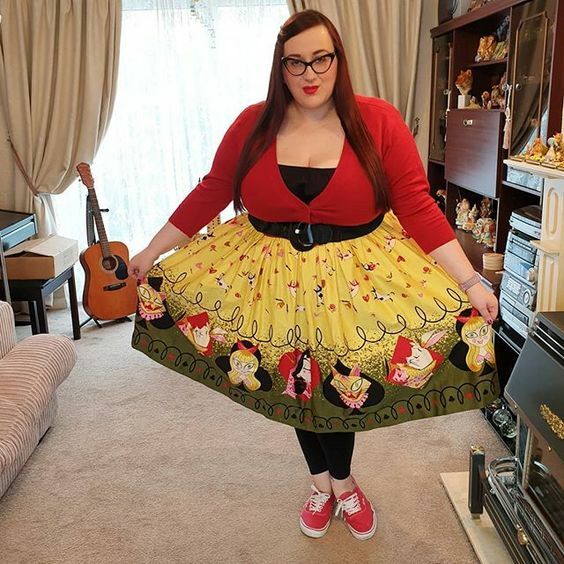 Skirt is 4x. Cardigan is self dyed. 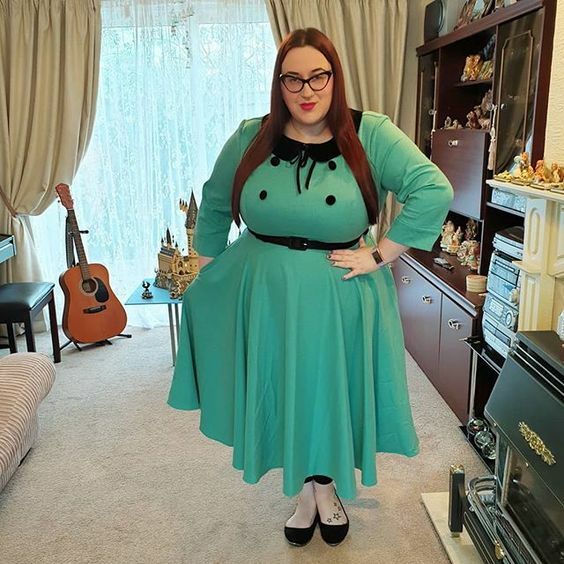 This is actually a dress but i wanted to make it look more like separates by adding the belt and tucking in the cardigan. Tan and I got stopped so many times while at the tower of London to be told how much they loved our outfits and even became a bit of a tourist attraction. 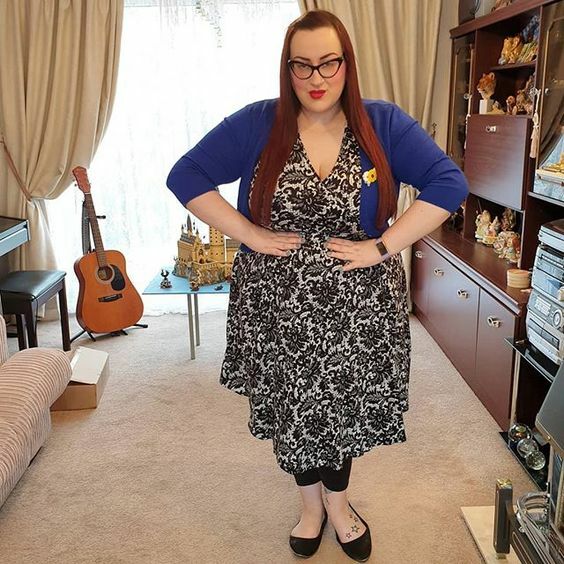 Dress is a 4x, cardigan is a 2x from Mak. I am wearing a 22. 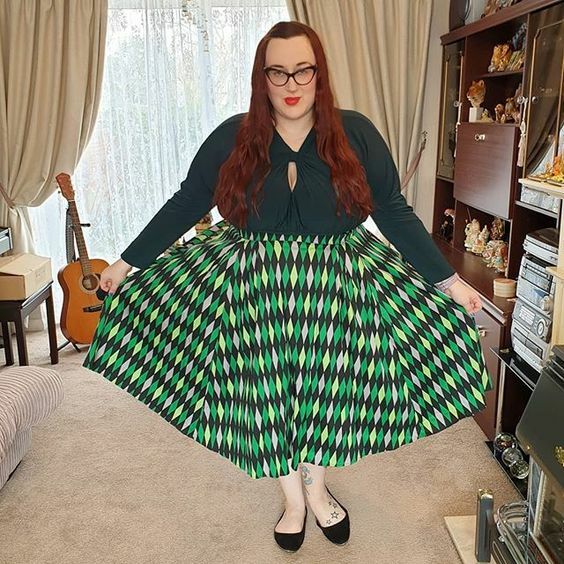 I haven't bought anything from Lindy Bop for a while but this skirt caught my eye and i though it would be a great staple for many outfits in my wardrobe. 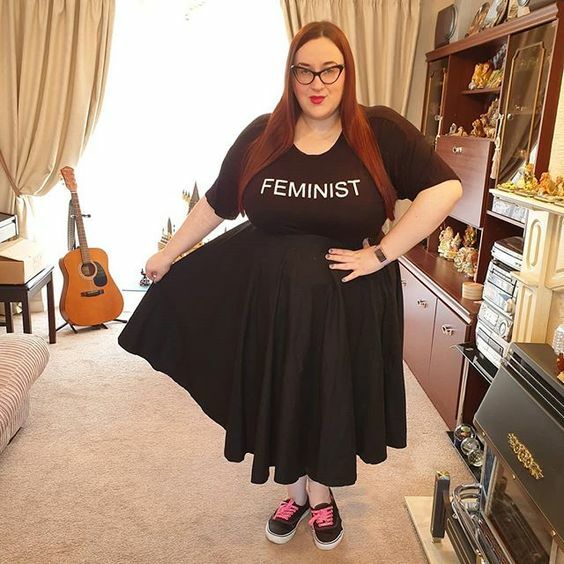 Skirt is a 24. 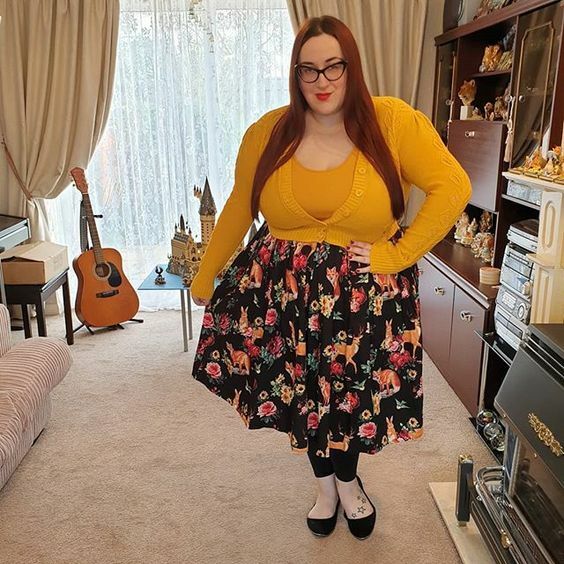 Top is from Primark and is a size xl, cardigan is New Look size 16. 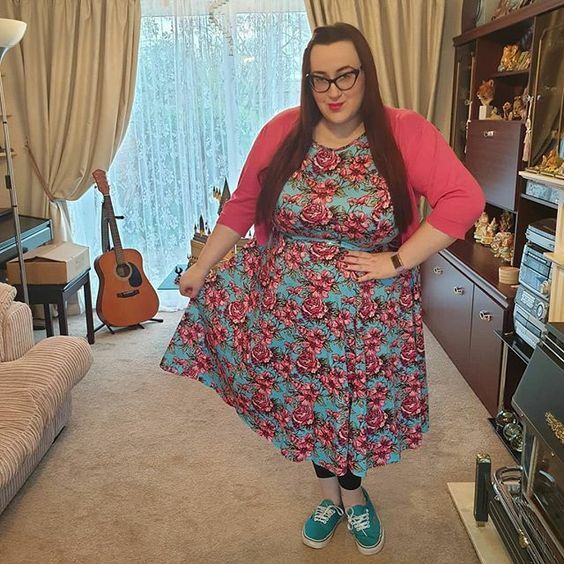 I've had this dress in my wardrobe for over a year and i can't believe this is my first time wearing it, i love the style and the colours are such fun. I am wearing a 4x. 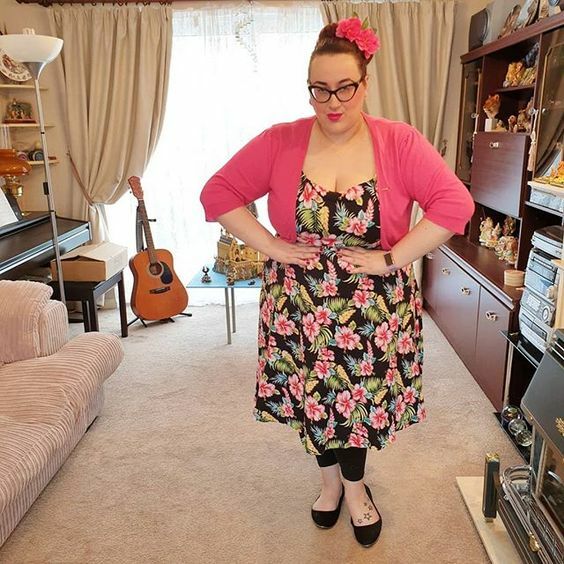 Both items are from Pin Up Couture, Skirt is a 3x and the top is a 4x. 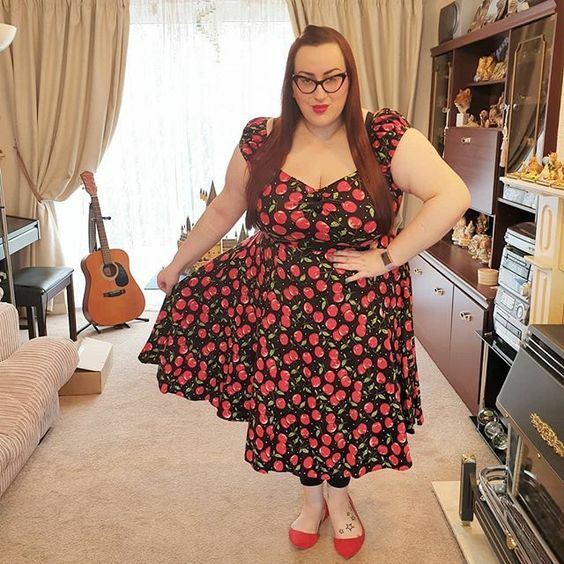 Another item i bought on a Facebook group, it is a size 22 and is an older Lindy Bop piece.